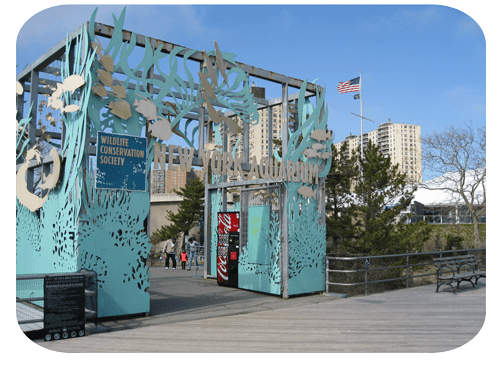 The New York Aquarium is located on the boardwalk at 8th Street. It has seals, penguins, walruses, sharks and other sea critters. It's $12 a person if you buy at the gate, and even though I've never been (not for any good reason... in fact, will make it a point to go this season), the families and kids walking out always look satisfied, which is a good sign.